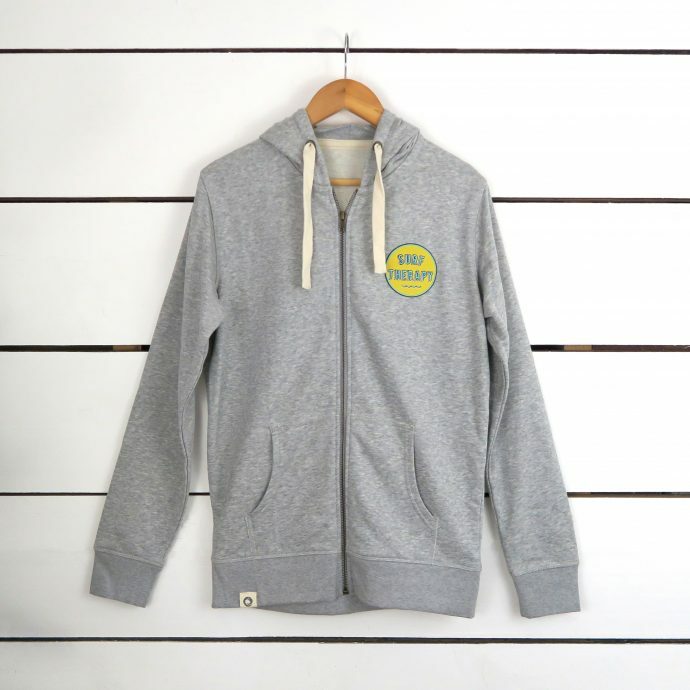 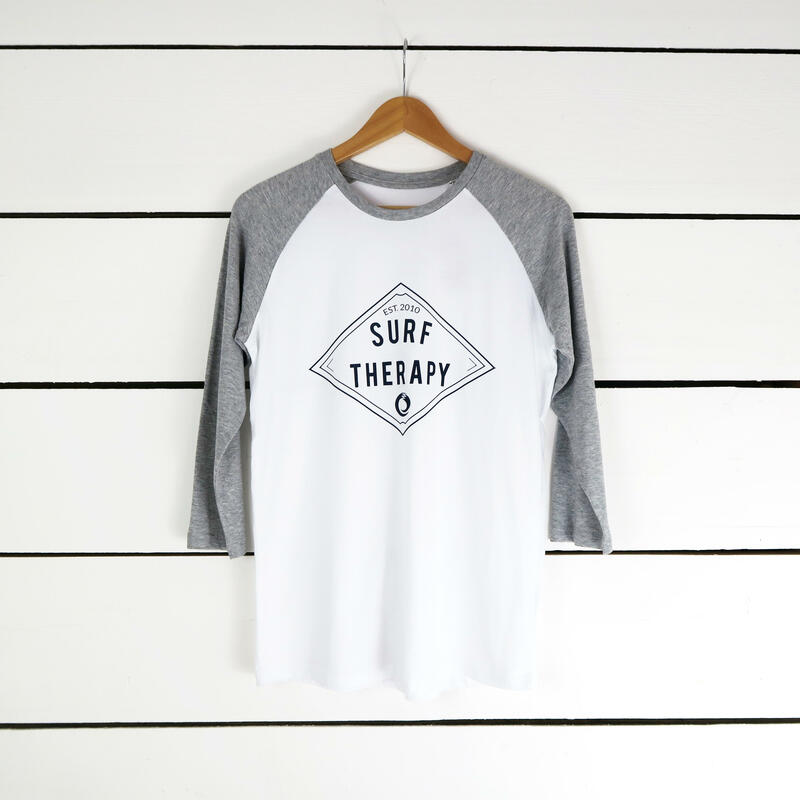 Relax in style with our soft grey baseball tee made out of 100% Fairtrade cotton. 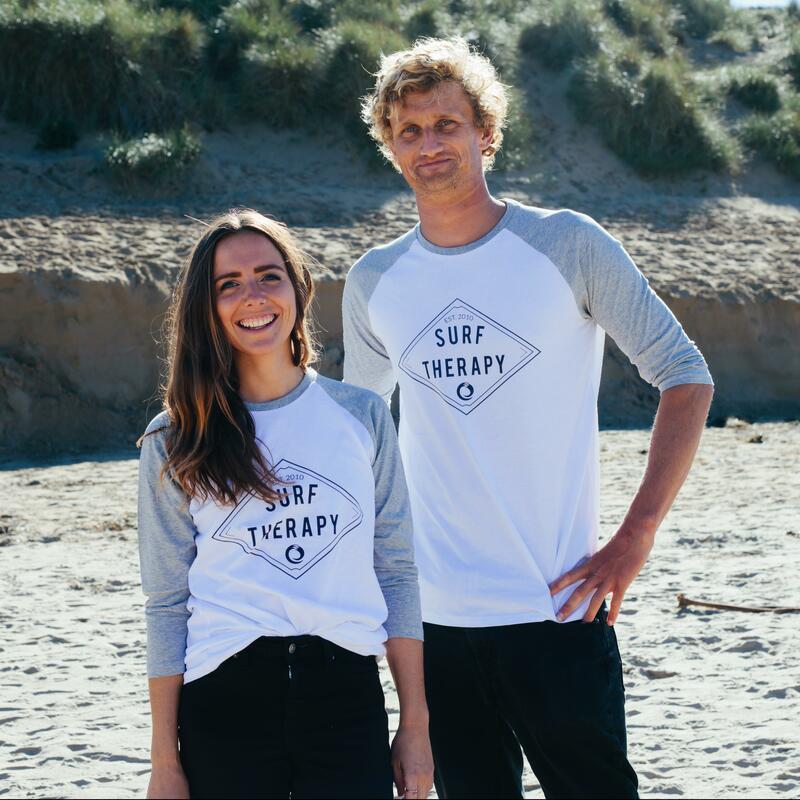 Featuring our newest Surf Therapy logo celebrating the establishment of the charity in 2010. 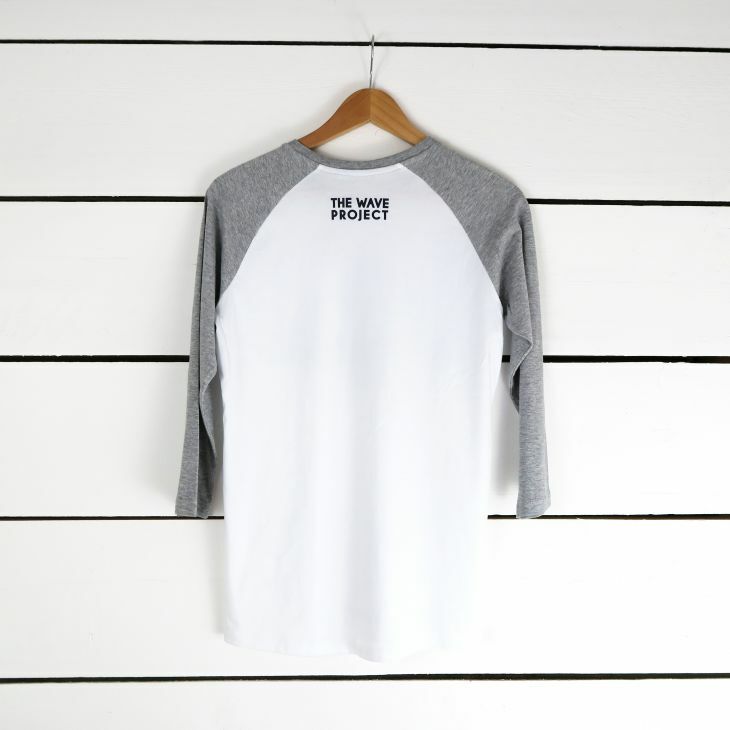 This top is unisex and features a slim cut and 3/4 length sleeves. 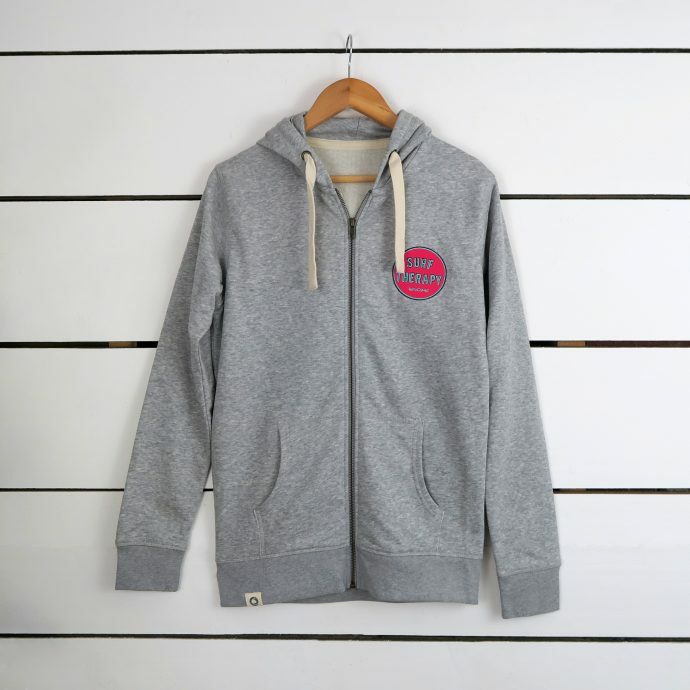 As a rule of thumb, men may wish to size up their purchase to something one size bigger than their usual shopping size. 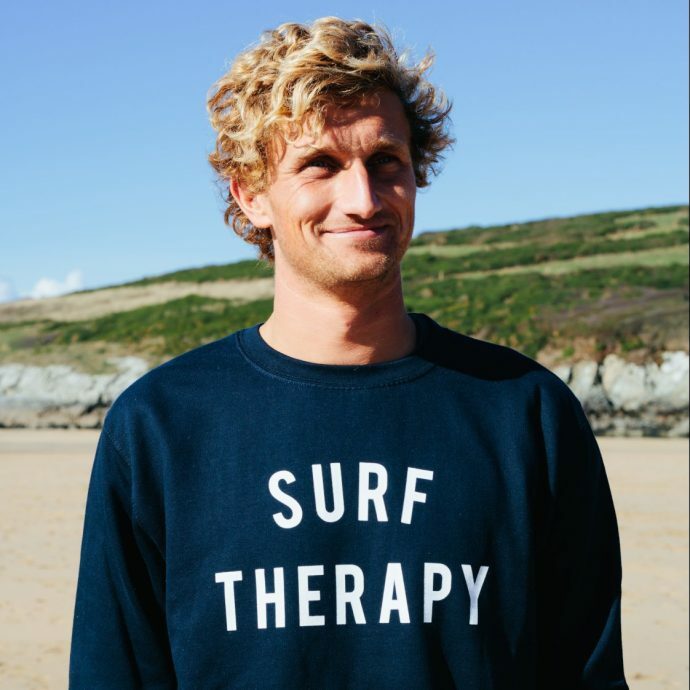 For ladies the tops are true to size.